Introduced at the 1972 Turin Motor Show, the Longchamp was the last model ever made by the De Tomaso-Ghia-Ford collaboration. 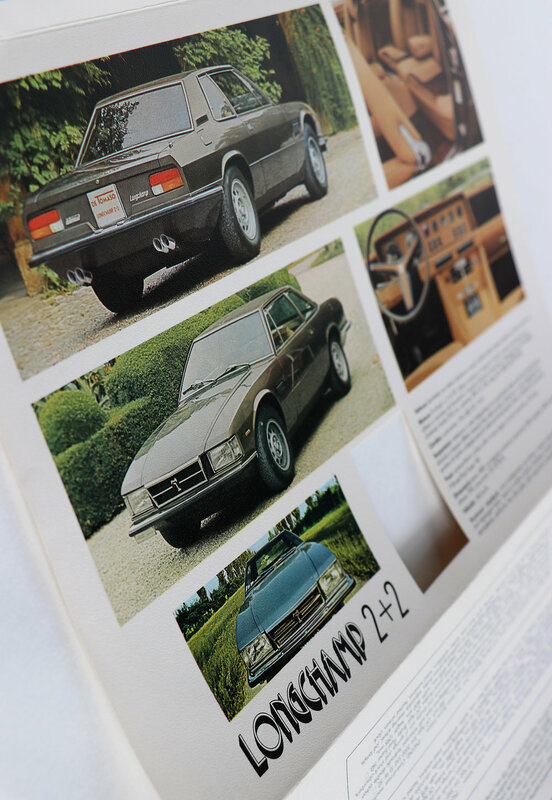 A luxury, sporty 2-door 2+2 coupe; (some say a re-naming of the moth-balled Zonda prototype;) it was De Tomaso's reply to the Mercedes-Benz 450 SLC. As with the Zonda, the Longchamp was built on a shortened version of the Deauville chassis, making it a lighter, coupe version of the sedan. The styling of the vehicle was pre-dated by an earlier prototype from Tom Tjaarda, the Ghia Marica, but whilst the design was similar, De Tomaso had wanted the Longchamp to resemble the Mercedes as much as possible. Production of Series 1 began in 1973. A three-speed Ford automatic transmission was initially the only offering, however approximately 17 cars were built featuring a ZF 5-speed manual transmission. The Longchamp had power-assisted rack-and-pinion steering and employed essentially the same suspension set-up as the Deauville; fully independent, with inboard, vented disc-brakes and dual shock absorbers at the rear. These combined to allow confident handling and an exceptionally stable and comfortable ride. The coupe's interior was fully trimmed in leather, including the seats, door panels, dashboard and console areas. Electric windows and a tilt steering column were also included, as were dual gas tanks and fuel pumps. For 1980 the modernised series 2 was introduced, with slight modifications also occurring later, including an updated interior and exterior package. 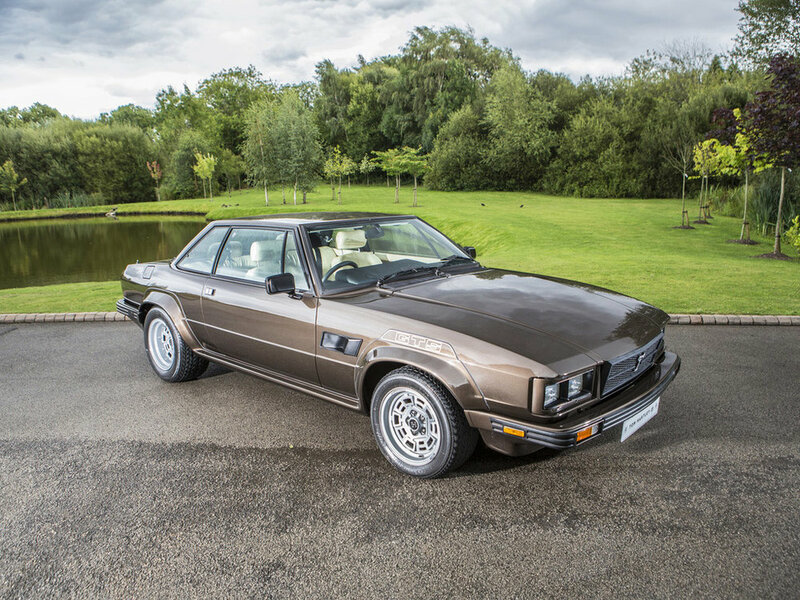 At the 1980 Turin Motor Show De Tomaso presented a new version of the car called the Longchamp GTSE; essentially a Longchamp with (European Pantera GT5) Campagnolo wheels and fibre-glass, flared wheel arches. The suspension was modified to cope with the wider Pirelli P7 tyres, resulting in an improvement in cornering power. A Longchamp cabriolet 'Spyder' variant also appeared at the show, made by Carrozerria Pavesi of Milan. Approximately 410 Longchamps were built in all with only 16 produced as convertibles. Only a few of these were also GTS models, making the Longchamp GTS Spyder an exceptionally rare and desirable machine. Although sold until 1989, is it suggested that the final Longchamps were produced in 1986. 1998 De Tomaso Longchamp GTSE. Images courtesy of Tom Hartley Jnr.